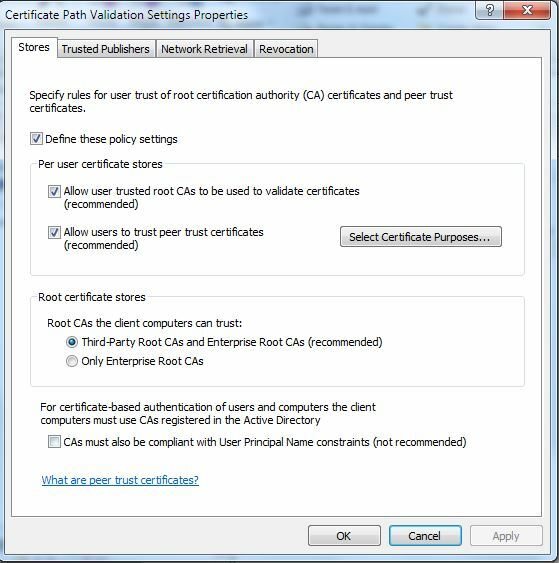 Scope: This document describes a fix for Kaspersky Internet Security 2014 and StartSSL.com free certificates. Basically, Kaspersky is unable to validate the certificate using OCSP because either StartSSL does not support it or the server is unavailable (I haven’t even checked on that). 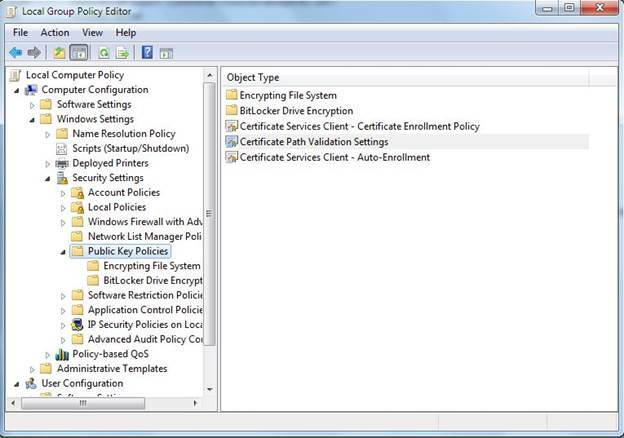 The fix involves either Group Policy (in an AD domain) or the local security policy. · This should also work on Windows 8, Server 2003, Server 2008 & R2, Windows 2012 & R2, but I have not tested it at this time. · This should work on IR11 also, but has not been tested at this time. b. 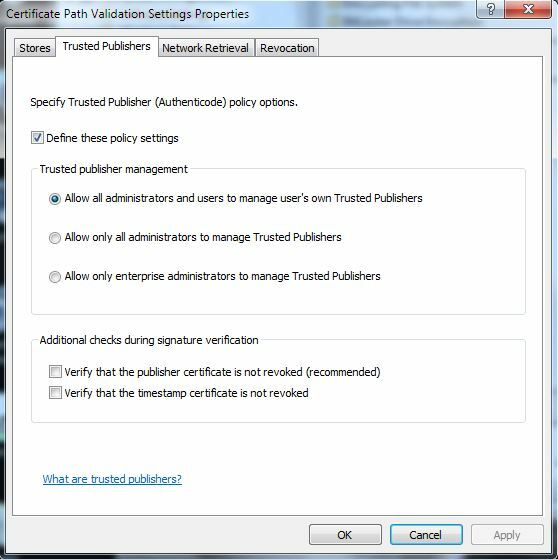 Under “Trusted publisher management” select “Allow all administrators and users to manage user’s own Trusted Publishers” ( or the other options depending on your group policy directives). 5. Click OK and you are finished!